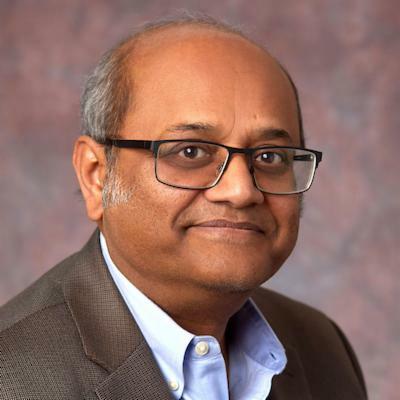 Debu Banerjee, PhD, is an associate professor in the Department of Pharmacology at Robert Wood Johnson Medical School and an assistant dean for global initiatives at the School of Graduate Studies. His research focuses on tumor stroma interaction with special emphasis on the role of carcinoma-associated fibroblasts in the tumor microenvironment. Banerjee has worked globally in the past five years to develop relationships with graduate programs to encourage student and faculty exchange in the area of biomedical research, including ethics in biomedical research and curriculum development. He and colleagues at the School of Graduate Studies organized workshops for international scholars in ethics as related to biomedical research, and they plan to organize several more. He works extensively with universities in Indonesia and India to promote student and faculty exchange and to facilitate international research collaborations. Learn more about Banerjee.